Here’s our detailed guide to what studying a postgraduate course at Derby costs and the help that’s available to pay for it. You’re likely to have questions and if you do, please speak to get in touch with us. The most up-to-date fees will be listed on the course page – search for your course and look for the section on fees. Accommodation – current halls of residence prices are £105-£139 per week. View a list of halls fees. You can find more information on the type of accommodation available to you as a Postgraduate student on our accommodation webpage. If you are an international student, you can get more advice on living costs in this part of the UK. Alternatively, if you are working, your employer may be willing to pay some of your fees. If you normally live in England and are under 60 when you start your course, you may be able to borrow up to £10,609 (2018/19 academic year) to study at masters level. It applies whether you are studying full-time, part-time or online. You can use this to pay for your tuition fees or living costs while you are studying a taught or research-based postgraduate course at masters level eg MA, MSc, MBA, LLM, MRes, MPhil. You have to meet certain eligibility criteria. Check the Postgraduate Master's Loan information on the gov.uk website. Interest is charged on the Masters Loan and of course, you need to pay the loan back – but not until you have graduated and your salary is over £21,000. You can make voluntary payments to your loan at any time. If you are under 60 when you start your course, you may be able to borrow up to £25,000 (2018/19 academic year) to study a doctoral level course eg PhD, EdD. It applies whether you are studying full-time or part-time. You can use this to pay for your tuition fees or living costs. You have to meet certain eligibility criteria. Postgraduate Doctoral Loan information on the gov.uk website. Interest is charged on the loan and of course, you need to pay this loan back - but not until you have graduated (or it’s the April four years after the course started) and your salary is over £21,000. We offer several research studentships each year. These are very specific research degrees that are either fully or partially funded so they are highly competitive. Find out about our latest studentships and other sources of funding for your research degree. If you are working and your course is related to your job, your employer may be willing to pay some or all of your fees. They will need to send us a sponsor letter on headed paper confirming that they will pay for all or part of your course. If you are training to be a teacher, you can get finance for Initial Teacher Training, a PGCE and SCITT (School-Centred Initial Teacher Training). Find out more about paying for your teacher training on the Get Into Teaching website. Funding has recently changed for postgraduate pre-registration health care courses. If you are studying one of the following courses with us from September 2018, you will be able to apply for a tuition fee loan and a maintenance loan with the same terms and conditions as an undergraduate loan. Visit the Student Finance website to find out more, particularly the Eligibility section. If you are studying another health care course or a social work course, you may be entitled to a bursary to help with living costs and tuition fees. Bursaries don’t need to be repaid. Find out more about social work bursaries and health care bursaries. In order to meet your visa requirements, you must show that you have access to a certain amount of money for your course fees and living costs in the UK – it’s called maintenance. The amount of money you need depends on how long your course is and how much of your course fees you have already paid. You may be eligible to apply for a scholarship or bursary. Find out more about maintenance. If you normally live in England and have a mental health problem, long-term illness or any other disability, you may be eligible for support through the Disabled Students' Allowances scheme. The support you receive depends on your individual needs, not on your income or savings. Please also talk to us about what support you need to study. 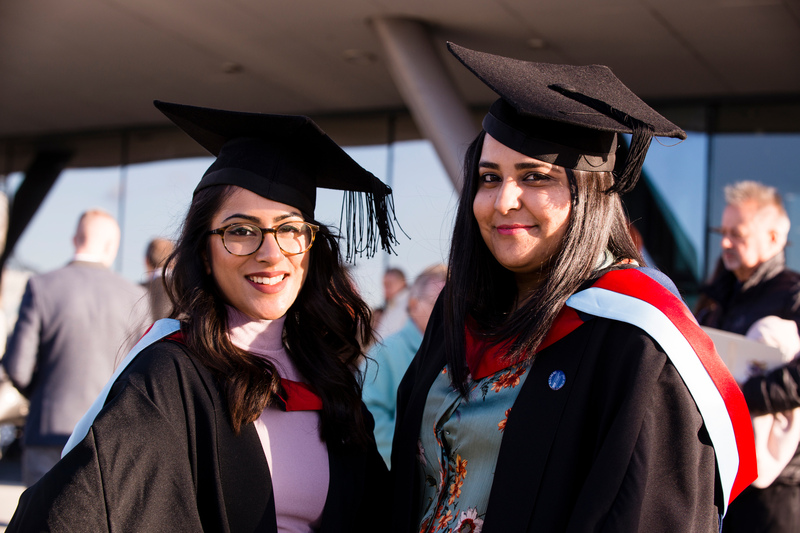 If you have already completed a full undergraduate degree with us, you could get an alumni discount of up to 25% on your postgraduate course fees. Still looking for funding? You could apply for one of a small number of bursaries offered by Postgrad Solutions.